Spring may have sprung and pastel hues, botanical brights and carnival colours are everywhere… But, we’ve noticed a trend amongst the colours. Proving that less is sometimes more, monochrome is reigning strong when it comes to print! 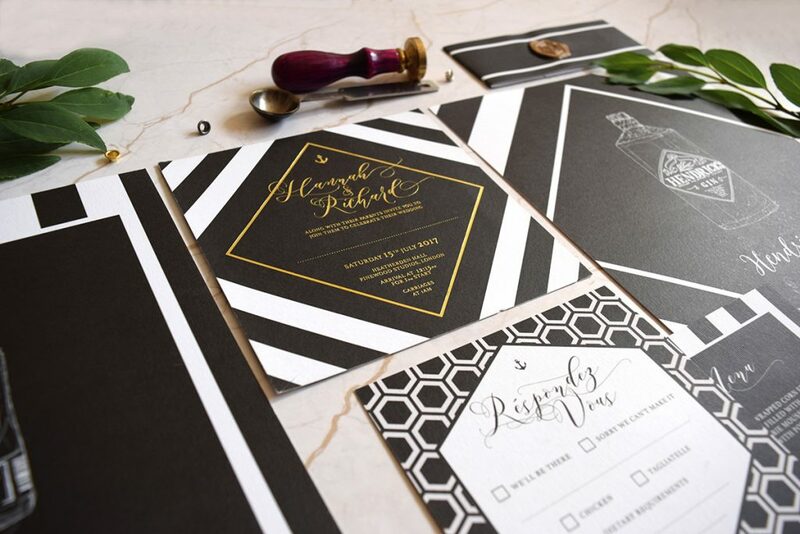 Check out just a few of our favourite designs to pass through our presses, all with a black, white and grey theme. 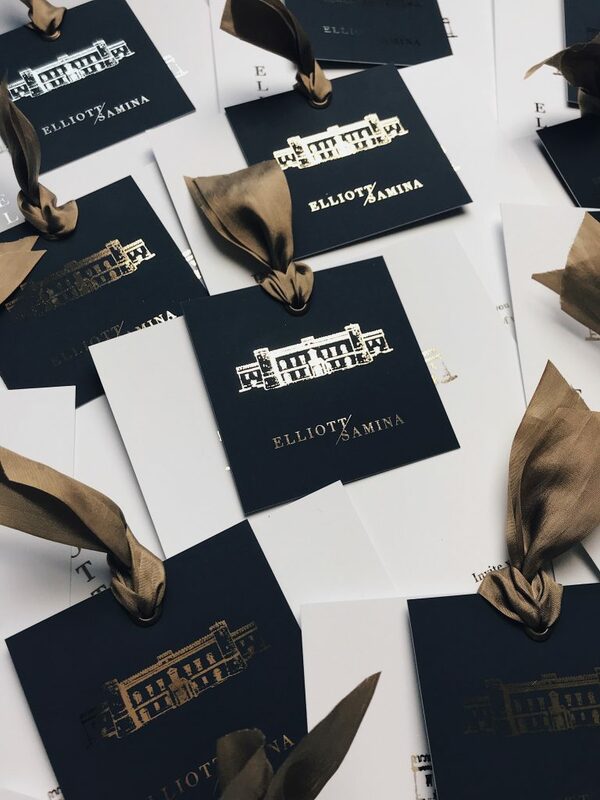 Geometric patterns and a flash of gold makes these gorgeous invites by I Do Invites really stand out. We can also spy a cheeky bottle of gin too, and that means that all of our favourite things are encapsulated in this one photo! Win win! The eagle-eyed readers among you may recognise the name ‘Pixel and Ink‘ from an interview and article we did a while back… Well, we’re super excited to welcome Pixel and Ink back to the Printed.com Blog, this time with some breathtakingly beautiful monochrome and Foil designs! Simple, stunning and finished with gorgeous ribbon, they certainly set the tone for a sophisticated day ahead. 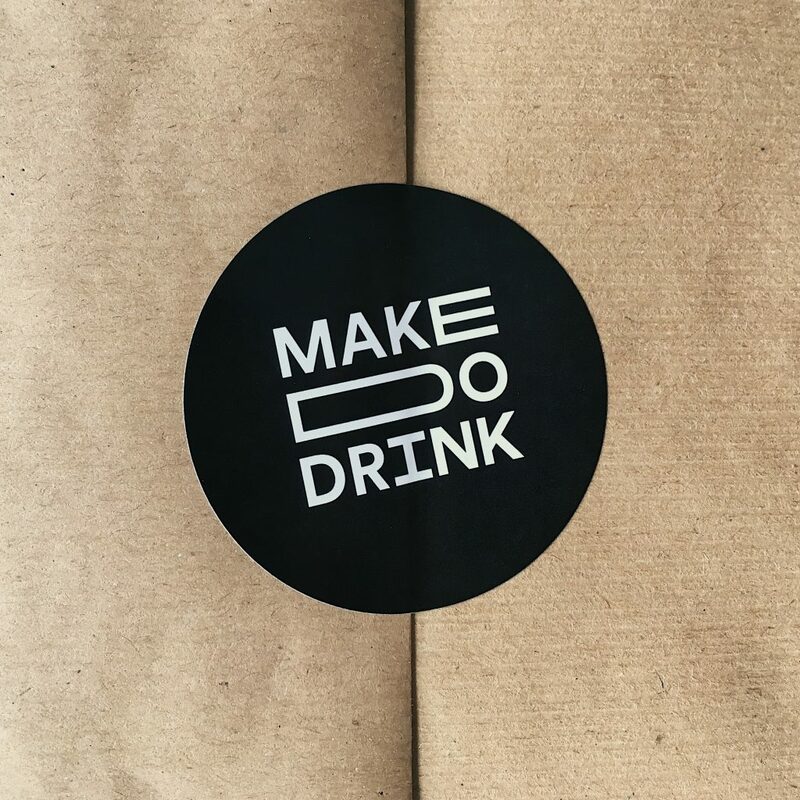 Make Do Drink is a collaborative workshop series bringing together small independent makers and great local venues in Preston city centre. 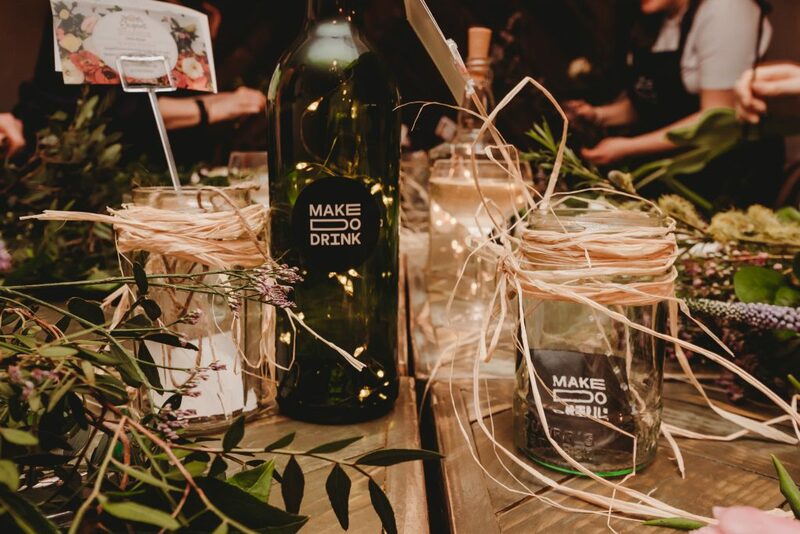 Our hope is to encourage more makers to share their skills, and for people to experience the satisfaction of making something with their own hands while enjoying a cheeky cocktail. It’s the brainchild of events manager Helen Brady (@helenvbrady) and graphic designer Nicola Darwen (@nicoladarwen) who decided their combined talents could be put to better use than the occasional (albeit excellent) hen do! Check them out (and if you live in Preston, get involved!) on Instagram and Facebook. 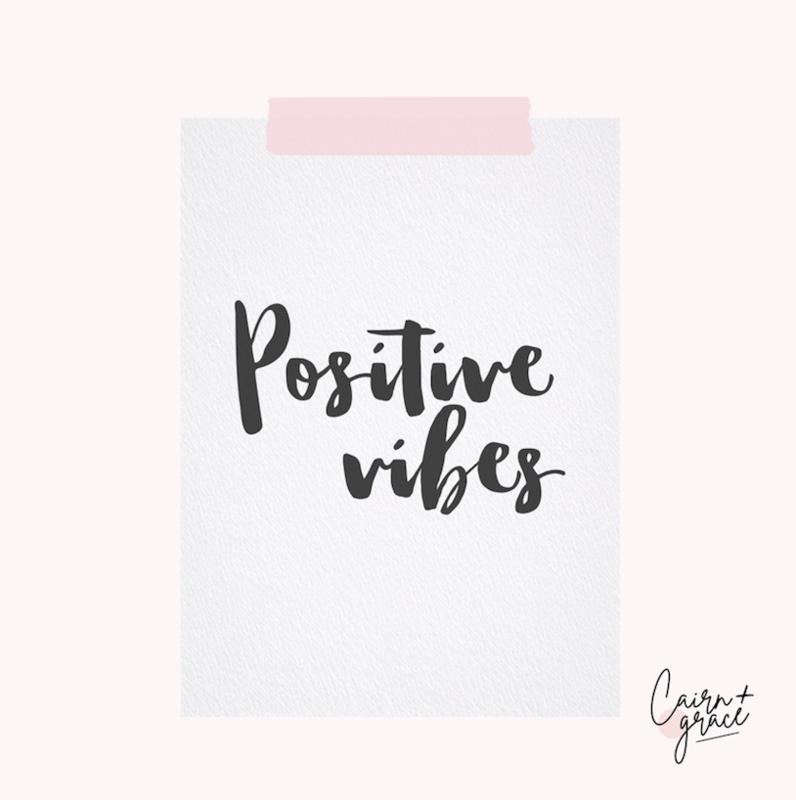 Keeping it beautifully simple, Cairn and Grace‘s positive vibes have got us feeling the monochrome love! 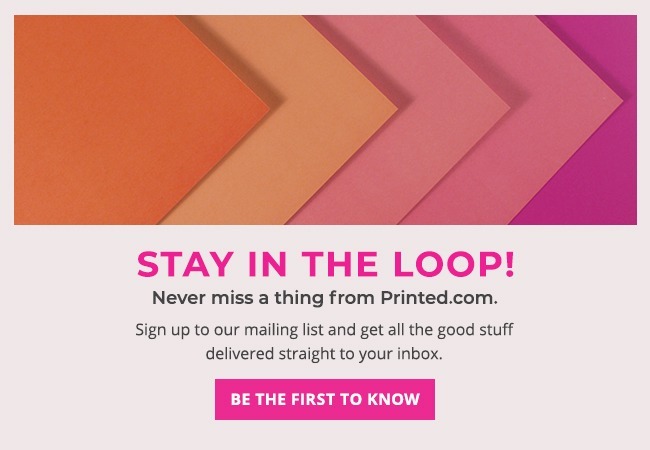 We love the combination of bold calligraphy on beautifully textured paper for the ultimate finish. These stunningly unusual prints are courtesy of About Face Illustration. Set up by Paulina Kwietniewska when she was on maternity leave with my first child in March 2016 – it’s became a full time job ever since (and we couldn’t be more glad). 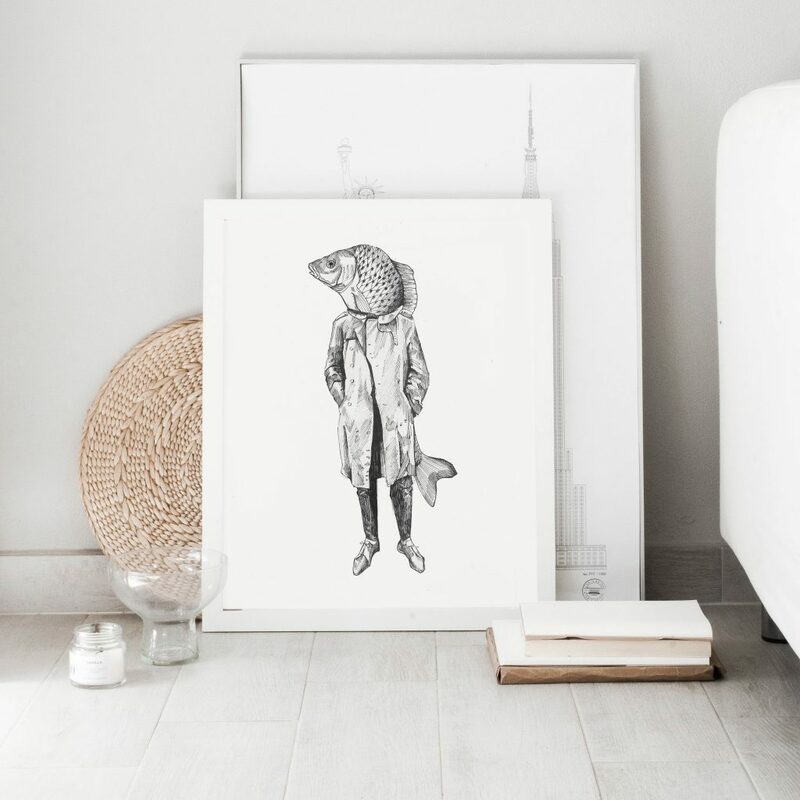 All of Paulina’s work is created using variety of mediums, including watercolour, oils and ink – and her prints are reproduced by us at Printed.com on 280gsm Nettuno paper. 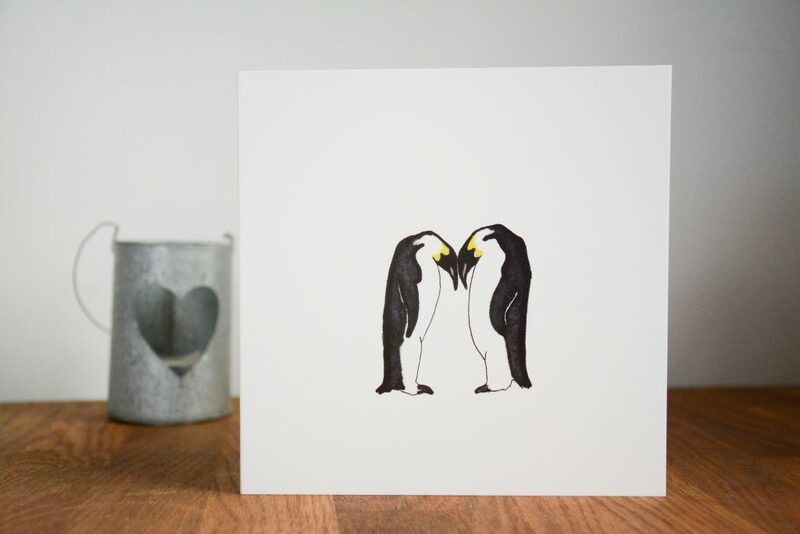 We love the delicate simplicity of this gorgeous penguin card by Amy Frank. Symbolising so much more than just penguins, Amy shows us how to nail the simplistic designs, proving that less really is more. This card doesn’t need anything else – it’s perfect as it is! 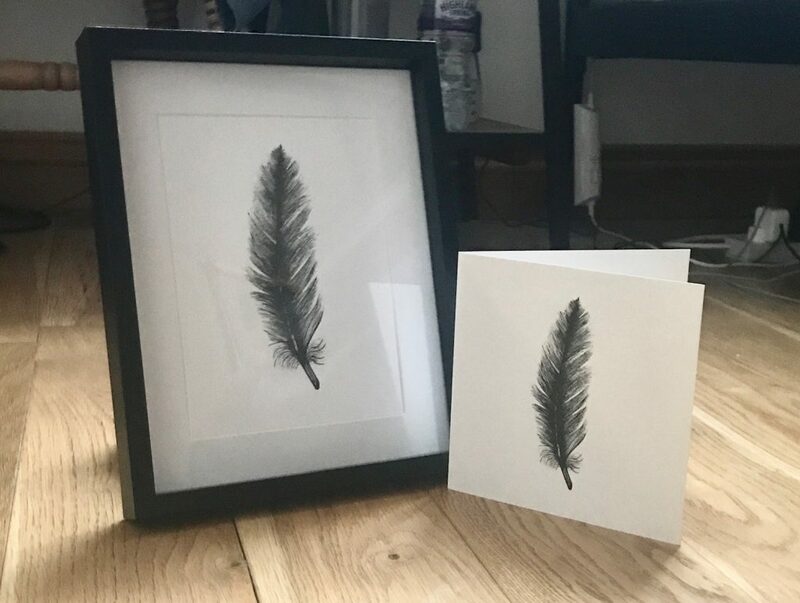 This beautiful feather print originally began life as a painstakingly detailed, hand drawn pen illustration by Dan Hill. 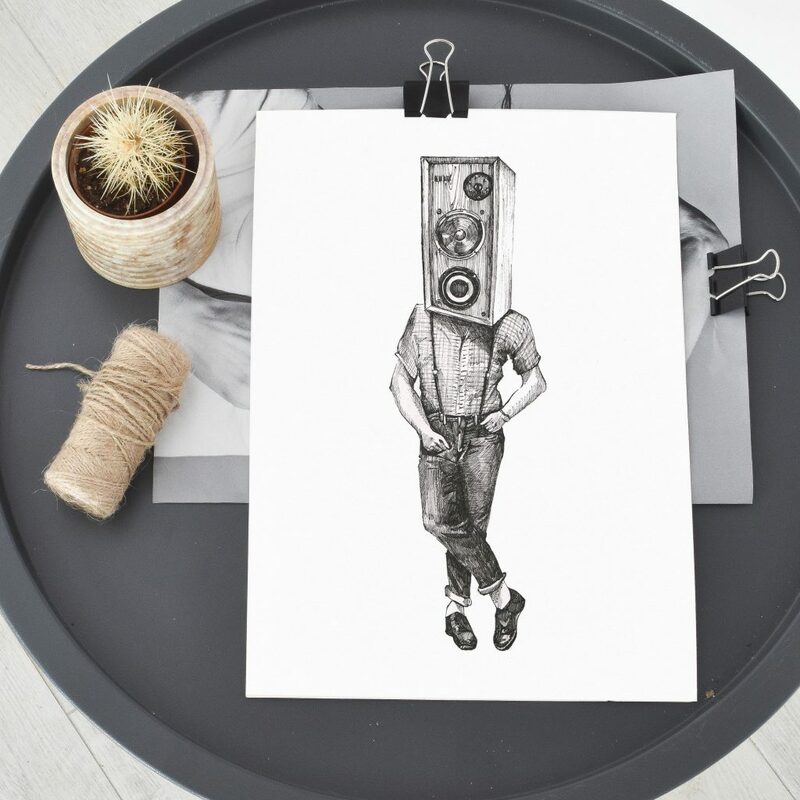 Pen stroke drawings like this one, and his other creations, are where monochrome really comes to life – if you don’t believe us, check out his Etsy page! 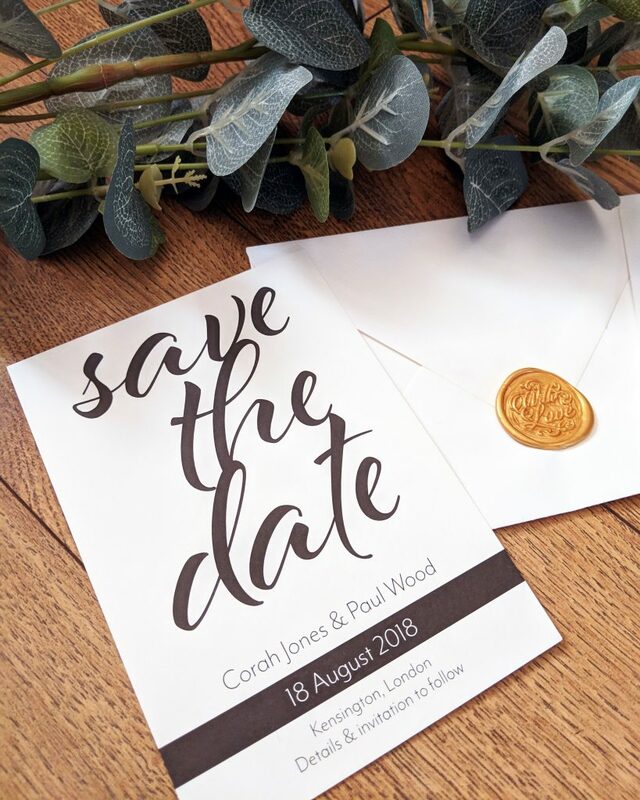 We love Francesca Norton Wedding Stationery‘s modern take on her Save the Date, Invite and RSVP above. 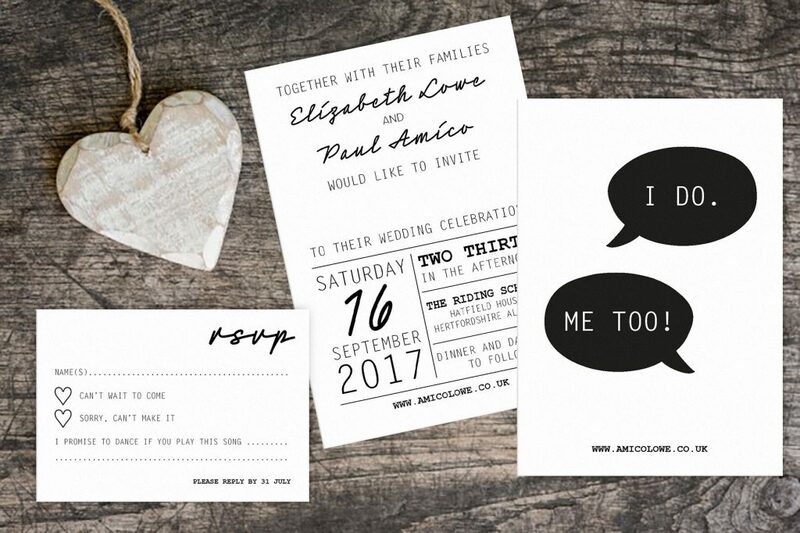 In simple black and white, with a mix of contrasting, yet complimentary fonts and styles, it makes the perfect choice for a modern and fun wedding. 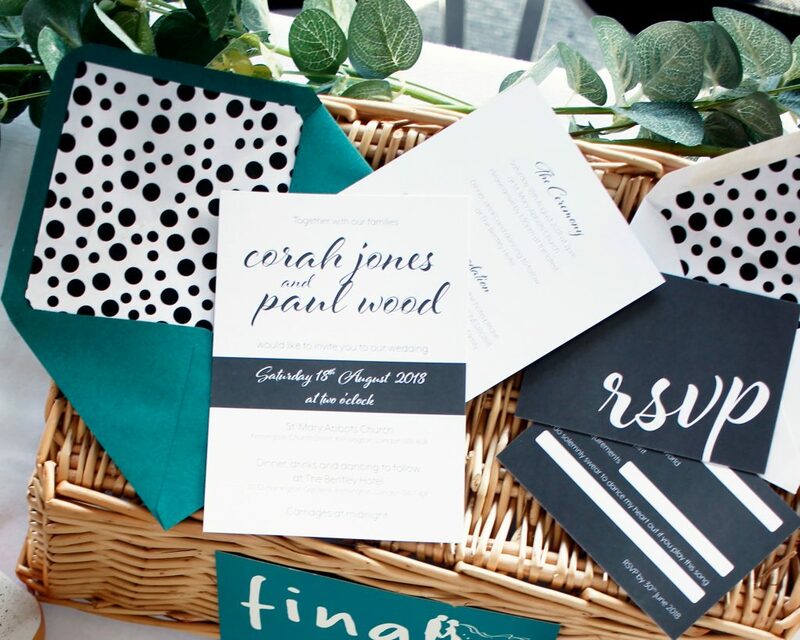 If the idea of going all out monochrome is a bit much for your Wedding Stationery, take a leaf out of Francesca’s book and team yours with a bright and colourful envelope for an added pop of colour. We love the extra addition on a patterned Envelope Liner to add a little extra to this gorgeous suite.